Sail the high seas in high style! Crossing the bay has never been so much fun. Kids can now experience their own lap of luxury with an indulgent High Tea treat! 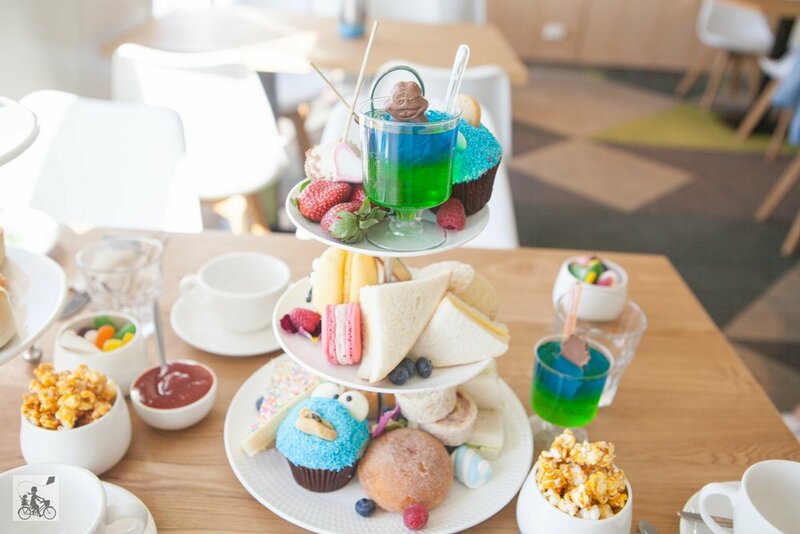 Cookie monster cupcakes, macarons, caramel popcorn, lollies, scones, sausage rolls, sandwiches and fairy bread are just some of the things on offer on tiered plates. Whist the taste-buds are being tantalised, take in the beautiful scenery as you cruise across the bay, you may even be lucky enough to spot a dolphin swimming along side you! There is also a beautiful fairy helping to keep the kids entertained with face painting fun! Mamma says treat the kids to something special during the school holidays, they will love you for it! Don't worry Mamma's- you don't miss out. Adults High Tea are just as exquisite, and even include a cheeky sparkling, too! For more info on regular Adult's High Tea - click here. Kids must be accompanied by a paying adult.